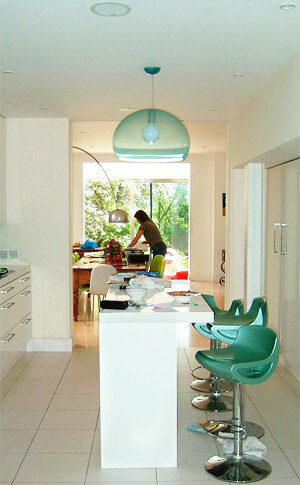 Careful planning created a totally open plan ground floor with two pairs of sliding doors separating the central kitchen from the adult and children’s living areas. 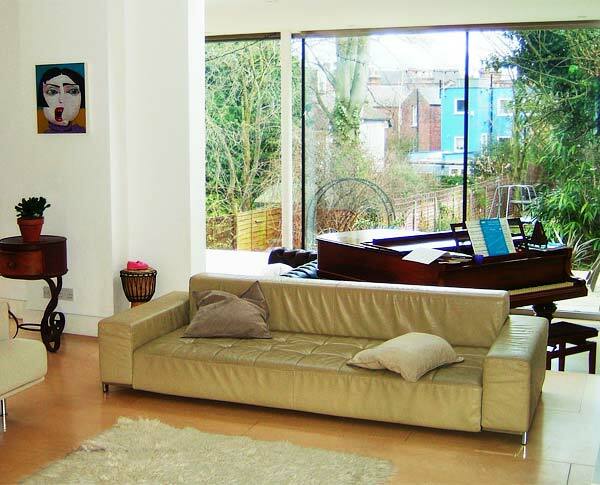 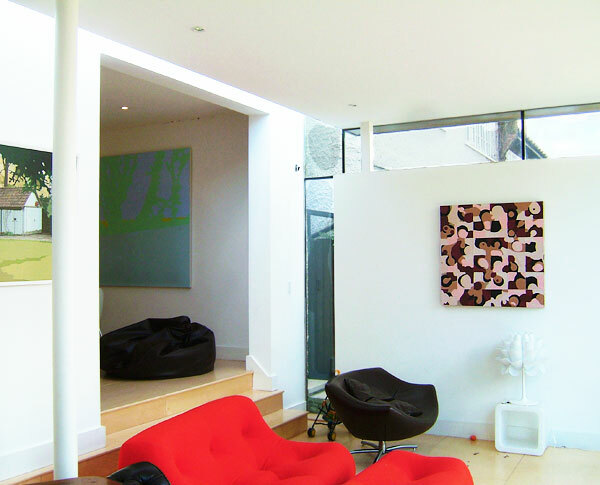 This ultimate party house has a flexibility of use to suit the clients' lifestyle. 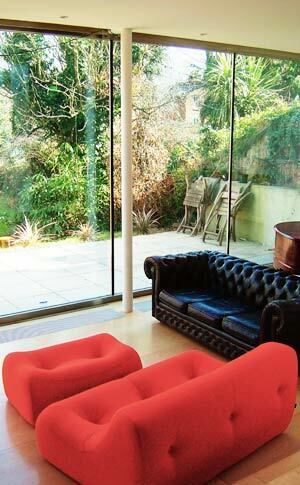 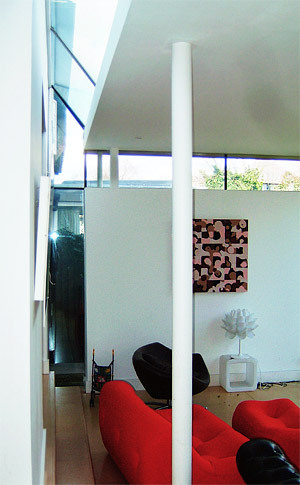 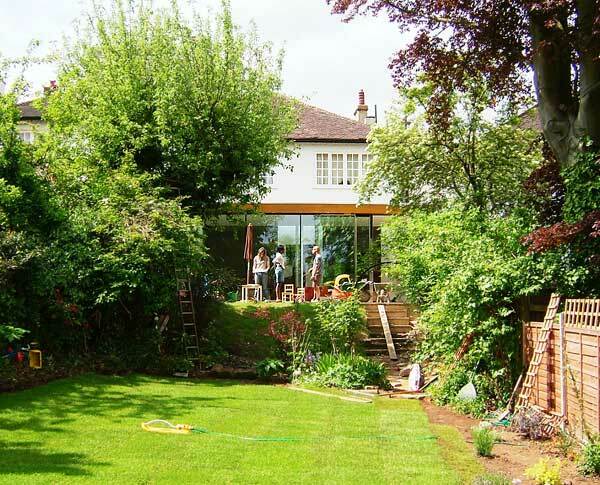 The addition of a full width glazed extension creates views and provides easy access to the garden.